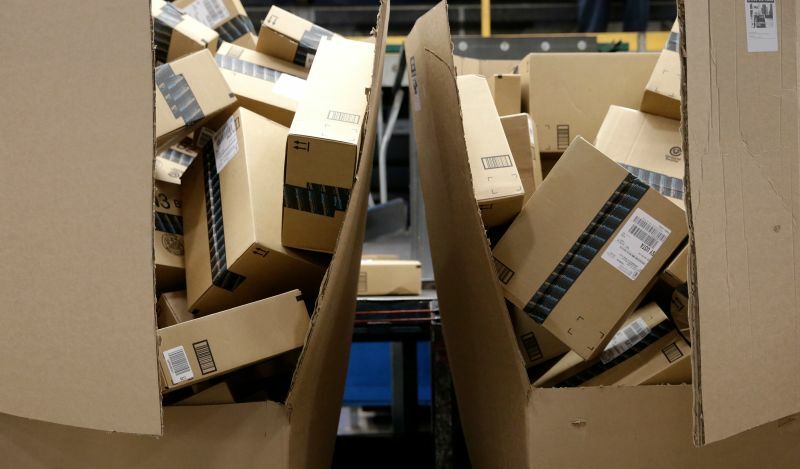 Amazon gained a patent on Saturday for what the company calls "anticipatory shipping," which will let them ship items to customers before they've even technically purchased them. Basically, Amazon can read your mind. Well, they can't exactly read your mind, but they can read your browser history. Amazon's new anticipatory shipping strategy, which is meant to cut down on delivery time, is based on previous searches, purchases, wish lists and more that customers have made on the site. They even know how long someone has hovered their mouse over a product. The company might even ship products "speculatively" which means they'll just sent stuff to customers even if they didn't actually buy it, but appeared online to maybe want it. This might lead to a bunch of unwanted Amazon packages on customers doorsteps that will probably be returned, but the company doesn't really seem to care. Apparently, they just want to seem super duper caring to their customers. In the patent, they state, "Delivering the package to the given customer as a promotional gift may be used to build goodwill." The patent gain comes not long after Amazon's CEO Jeff Bezos revealed that the company would be using drones to deliver packages faster to customers. The new drone shipping service, named "Amazon Prime Air," would deliver packages up to 5 pounds in less than half an hour. So just be careful with how long you hover your mouse over something on Amazon, because chances are you didn't seriously want to buy that $85 fat replica, right?